Hinds, Hilary. 2011. 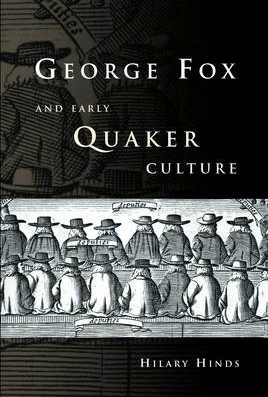 George Fox and early quaker culture. Manchester: Manchester University Press. A recent addition to our Quaker collection, located upstairs at the MLRC. What was distinctive about the founding principles and practices of Quakerism? In George Fox and Early Quaker Culture, Hilary Hinds explores how the Light Within became the organizing principle of this seventeenth-century movement, inaugurating an influential dissolution of the boundary between the human and the divine. Taking an original perspective on this most enduring of radical religious groups, Hinds combines literary and historical approaches to produce a fresh study of Quaker cultural practice. Close readings of Fox’s Journal are put in dialogue with the voices of other early Friends and their critics to argue that the Light Within set the terms for the unique Quaker mode of embodying spirituality and inhabiting the world. ‘The limits of the light’ : silence and slavery in Quaker narratives of journeys to America and Barbados. This entry was posted in George Fox, Quakers. Bookmark the permalink.